David earned his Bachelor’s Degree in Violin Performance, has completed multiple Suzuki Teacher Training courses, and has over 24 years of both private and group lesson teaching experience including, but not limited to, the Suzuki Music Program of Los Angeles, the Santa Monica School District, Sweet Strings, and his own private studio. David possesses an energetic enthusiasm for the music of many cultures and genres. Moreover, he cherishes the lessons of love, respect and team work that he has the privilege of teaching to his students via the medium of music. 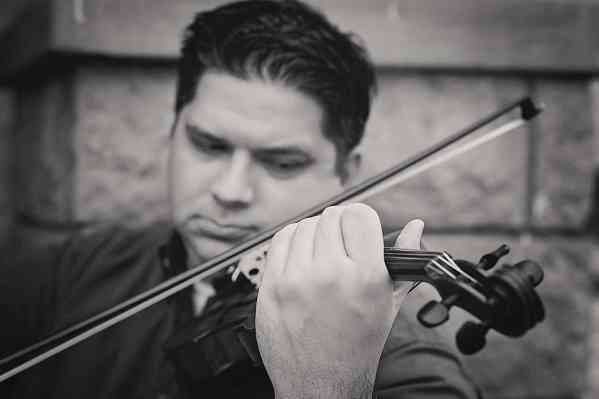 He is a university trained classical violinist as well as an award winning Scottish fiddler. He performs and teaches a robust range of repertoire. His students have gone on to study music in respected institutions such as UCLA, University of Michigan, UC Davis, as well as his own personal alma mater, California State University, Northridge. David had the honor of guest conducting the Los Angeles Chamber Orchestra at UCLA’s Royce Hall in 2006. He performs professionally, as well as with his students, around the greater Los Angeles area. On their way to becoming consummate musicians, David strives to shape and mold the character of his students into one of compassion, sensitivity and virtue.